It has been suggested that privacy no longer exists. Everything we do on the web is tracked, whether intentionally or not, and more and more consumers are becoming wary of companies and governments collecting their data. We&apos;ve previously seen innovators in Japan create privacy-protecting glasses that can confuse facial recognition programs. But for everyday internet usage, ICLOAK is developing a plug-and-play USB that enables web users to browse with privacy on any device. As it stands, those who want protection from being tracked while browsing the internet need to use tools such as IP proxies, VPNs or routing applications such as Tor. The ICLOAK Stik is a USB dongle that can be connected to any computer to offer anonymous and secure browsing within a few seconds of loading. The device is loaded with the Linux OS, protection from viruses, spyware and malware, as well as the Tor Browser Bundle. 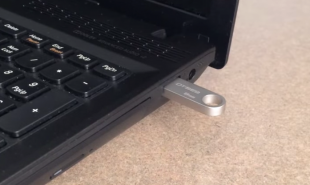 Any browsing activity takes place on the Stik, rather than the user&apos;s computer harddrive, meaning any breaches only affect the USB. Activity is also stored on a session-by-session basis, meaning all data is wiped upon the next reboot. It also creates a fake MAC and IP address to add further anonymity. Although the ICLOAK Stik uses existing resources that are already available, it combines them into one package that provides internet privacy on one portable device. It taps into a huge desire from some consumers to stop third parties track their behavior online. A similar gadget called Anonabox, which purported to reroute surfers&apos; entire web activity through Tor recently surpassed its USD 7,500 Kickstarter goal by several hundred thousand dollars — although it was eventually suspended following an investigation into the veracity of the creators&apos; claims. However, the story demonstrates the presence of real demand for similar security tools. Are there other ways to make online privacy easier?